Now that summers are almost around the corner, it's time to replace those heavy-duty foundations with a light-weight BB cream! 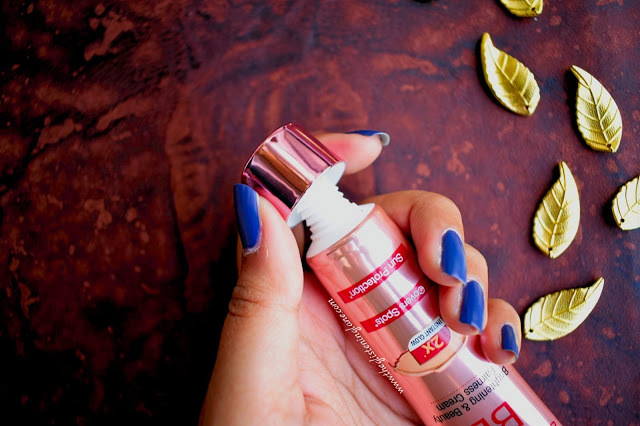 Recently, Spinz came out with their Brightening & Beauty Fairness Cream. You guys know, how the term "fairness" has no implications in my dictionary. And by no means, we support any fairness claims or products. 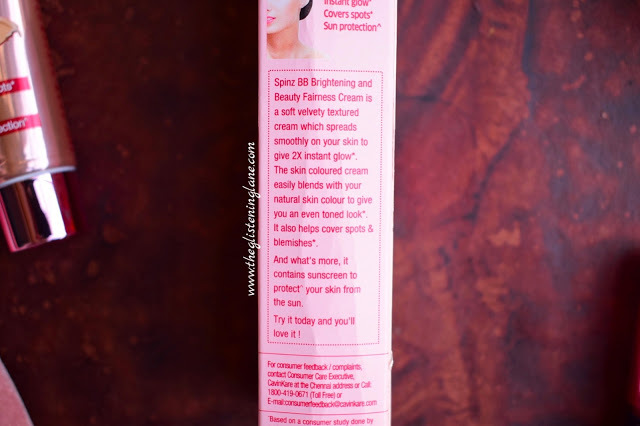 The analysis of this BB cream will mainly revolve around the expectations that we have from a beauty benefit cream. 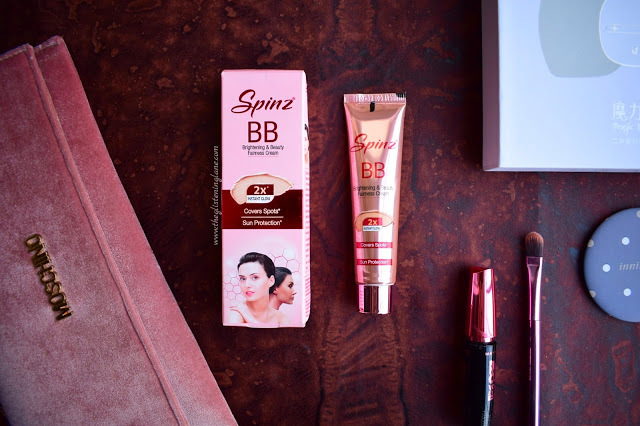 Description: Spinz BB Cream is a soft velvety textured cream which spreads smoothly on your skin to give 2X instant glow. The skin coloured cream easily blends with your natural skin colour to give you an even toned look. It also helps cover spots and blemishes. And what’s more, it contains sunscreen to protect your skin from the sun. Directions for Use: Apply cream by gently massaging on clean face and neck area using upward circular movements. 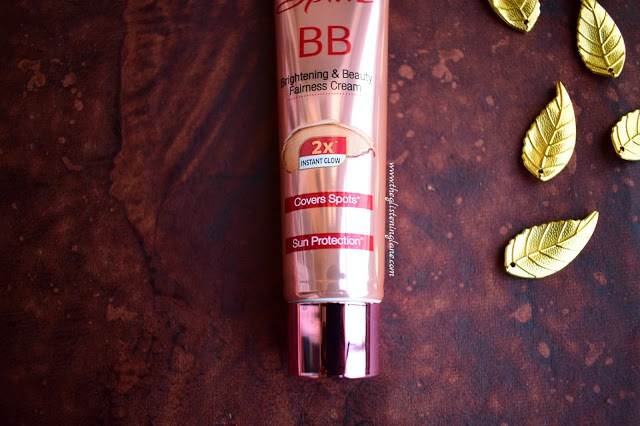 Spinz BB Cream Buy Online: Purchase at a discounted rate HERE. 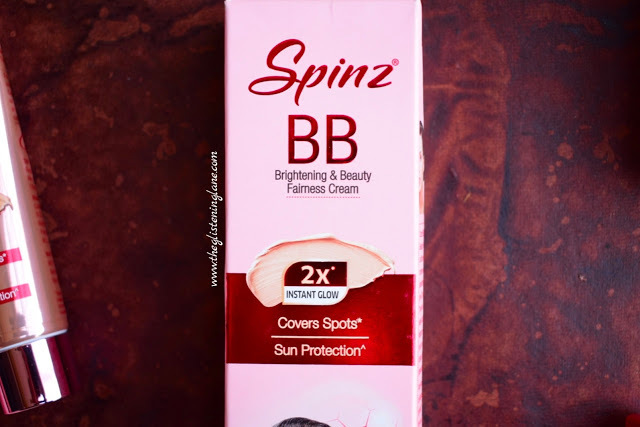 Spinz Brightening & Beauty Fairness Cream comes in a pink and red cardboard carton wherein you have almost all the necessary details concerning the product. Inside, you will find a very attractive rose gold tube which is something very unique, I feel. For taking out the product, you need to unscrew the cap and take out the desired amount of the cream. It does not have a pump dispenser but probably tube makes it all the more travel friendly and compact. But what disheartens me is the fact that the complete ingredient list is missing from the packaging and only key ingredients have been stated. I was astonished upon seeing the colour of this BB cream as it had a yellowish tinge to it, resembling probably an ointment. Usually, the BB creams are orangish or somewhat skin coloured and yellow BB cream happened for the first time. It also got me worried as the skin-coloured tint helps in providing coverage but herein the colour was completely different. A minute quantity, probably pea size or less than that, is what would be required for application. I like to apply it after I've applied a toner and sometimes after serum as well. I loved the formulation and texture of this cream. It is as smooth as a primer and it spreads easily without much massage required for absorption. 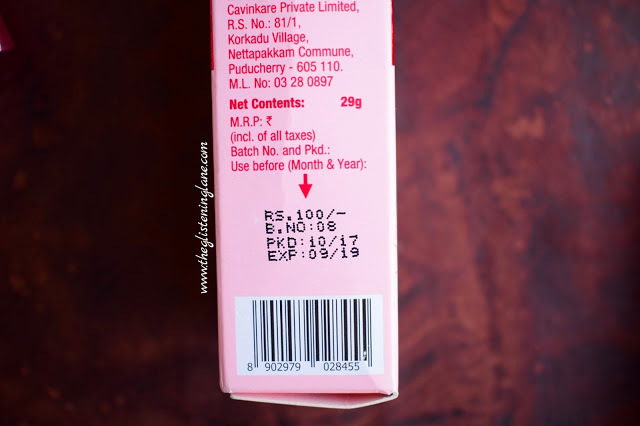 As soon as I apply it, I do notice that it has brightened my skin and it looks quite fresh. For dry to normal skin type, you may need a layer of hydration underneath. Although I have a greasy skin, I felt no oiliness which again adds to a bonus for oily skin ladies! As to the claims of covering spots, I feel it not necessarily does that, especially if you have a full grown acne. P.s. never hide it away with makeup because we want it to be recovered quickly. Also, I might be wrong but I think it does has silicone into it because again primer like texture. I should probably try and use it as a primer underneath my foundation. Who knows, it might work two shifts that way! 😁😁Lastly, the packaging claims that it protects from sun but then there's is nothing stated like SPF this or that. So, I'm slightly sceptical about that. Which one is your favourite BB Cream?